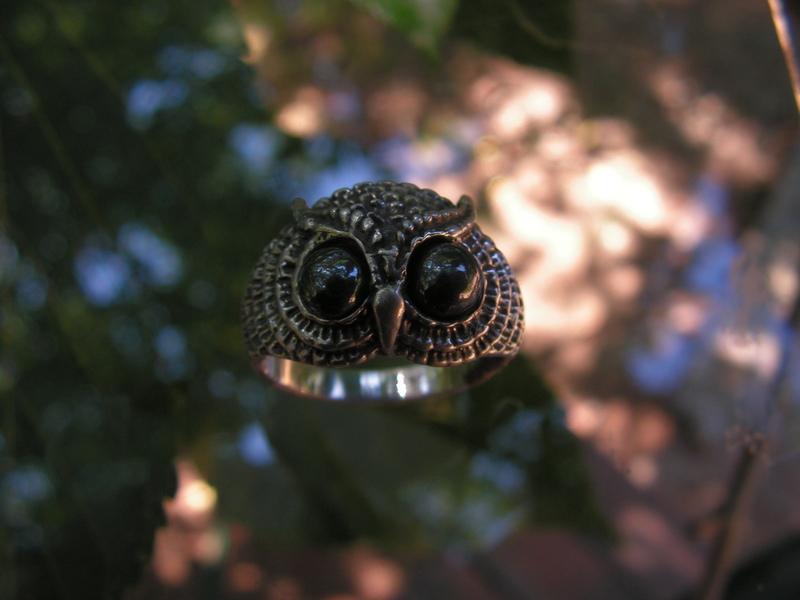 Sterling silver Owl ring with Hematite eyes. 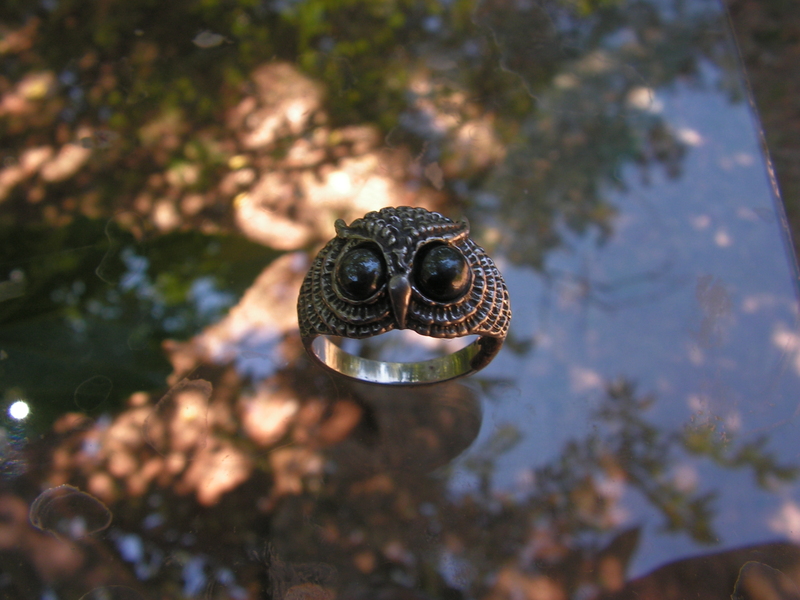 This is an entirely sterling silver Owl ring with 5 mm round Hematite cabochons. This original design is hand made and hand finished in my studio. 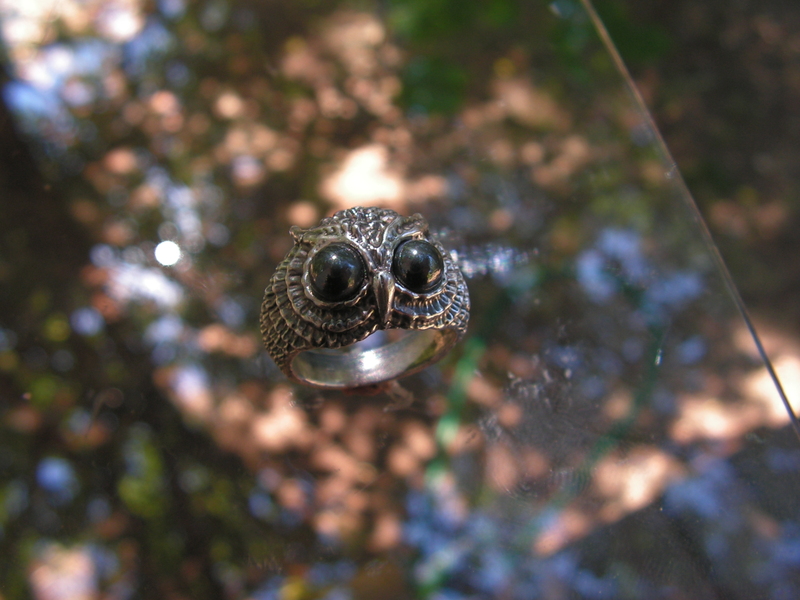 The feathered detail on the ring extends 1/4 inch (6 mm) down each side of the solid shank. 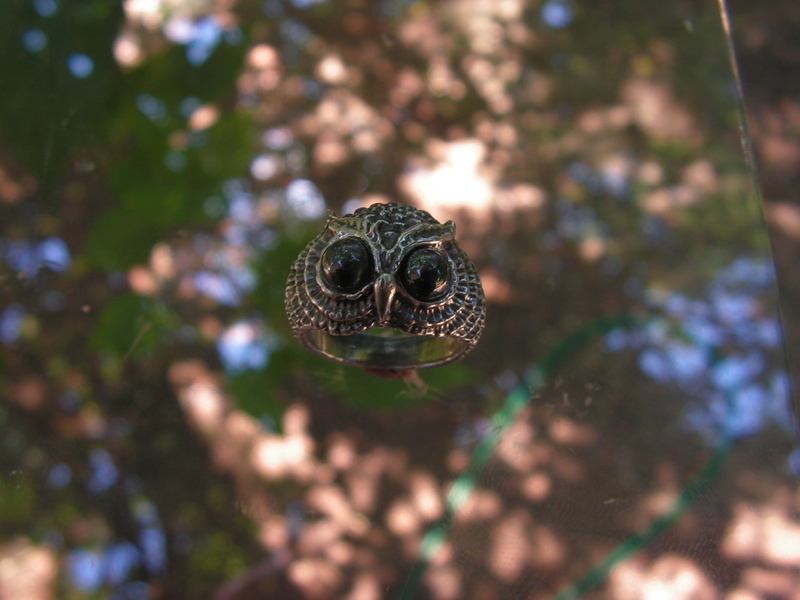 Hematite is a naturally occurring mineral with characteristics similar to Tahitian pearl. 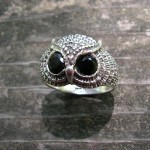 It is very durable and a beautiful shiny gray. 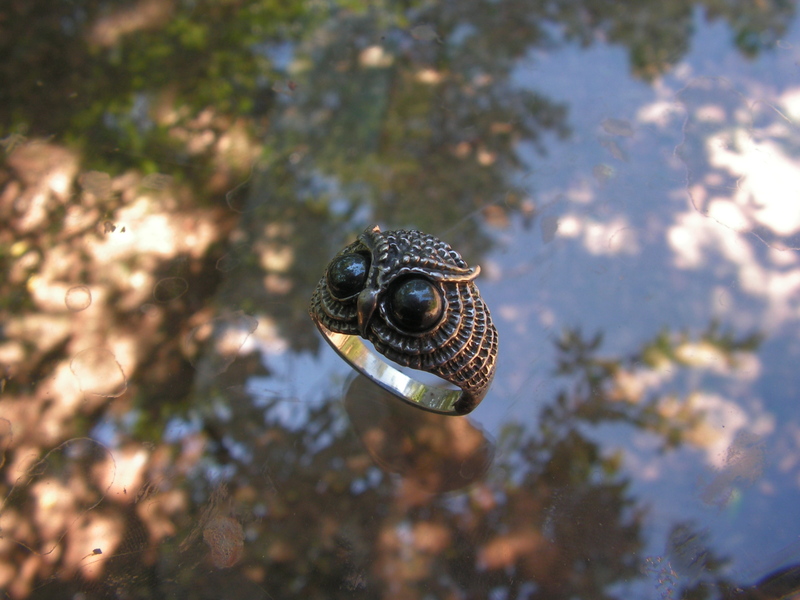 This Hematite was quarried in Arizona and the stones are bezel mounted for a permanent setting. 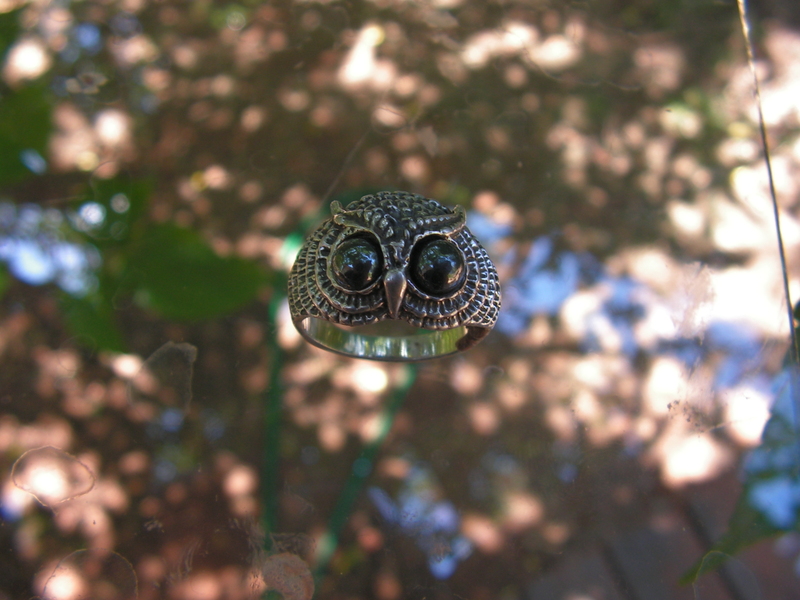 This is a lifetime piece of jewelry and I think appreciators of Owls will like this design very much. 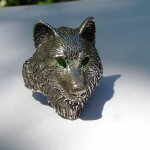 All of my listings are solid sterling silver. 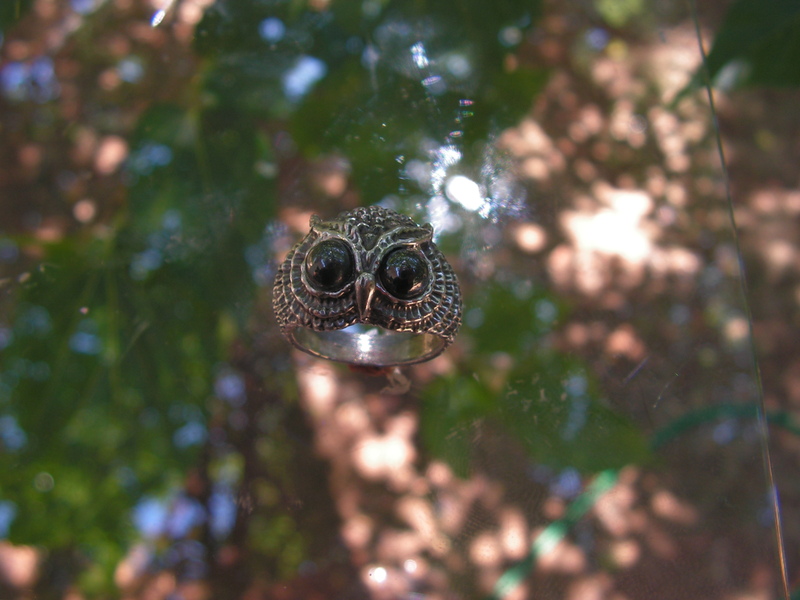 The ring pictured is size 8. 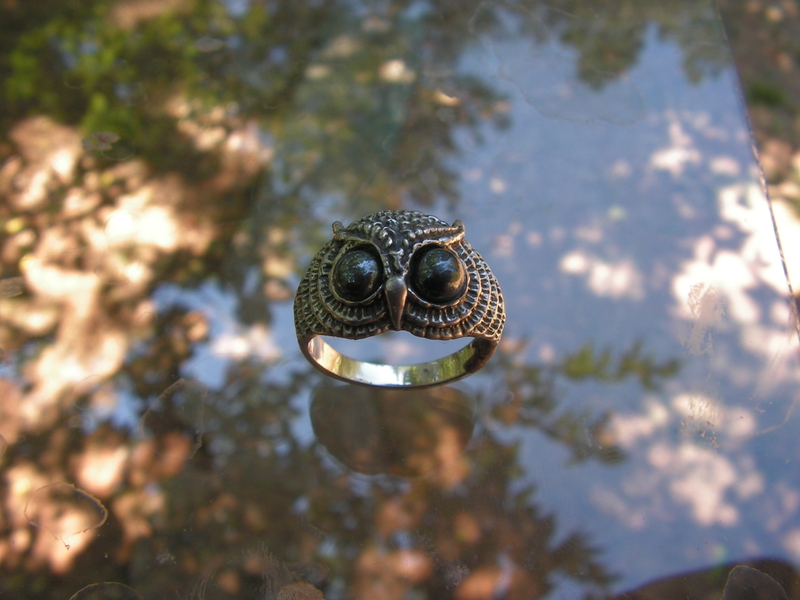 I will honor any size request up to USA size 13 (22.3 mm inside diameter) same price. Half and quarter sizes are also acceptable. Please include a message for me with your size choice during checkout if other than size 8 and, additionally, I always inquire about size preference before shipping. A nice gift box included. Thank you for visiting my shop.